Not to be confused with the Republic of Cyprus. It is named after the Cyprus Estate, a housing estate built for workers at the Royal Albert Dock, which opened in 1881. The estate was named to commemorate the United Kingdom's acquisition of the island of Cyprus in 1878. It was built on one of the few pieces of land not owned by the Port of London Authority, and hence was open to such development. In 1981 during the redevelopment of the London Docklands, Cyprus was the location of the first new private housing development in the Docklands for many years, and the first sponsored by the London Docklands Development Corporation. It was considered a success in generating a balanced community and prompted further housing developments throughout the docklands. The nearest Docklands Light Railway station is Cyprus. The station is directly outside the University campus. 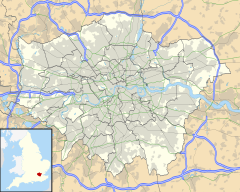 For details of education in Cyprus, see List of schools in the London Borough of Newham. This page was last edited on 10 May 2018, at 17:52 (UTC).